The Aboriginal North American Horse ~ Managed to Extinction. It needs to be more widely understood that the horse’s status as a native North American species is beyond serious question. A “native” species, in evolutionary terms, is defined as one that differentiated or diverged from its immediate ancestor species within a specific geographical locale. The contemporary wild horse in the United States is recently derived from lines domesticated in Europe and Asia. But those lines themselves go much further back in time, and converge on populations that lived in North America during the latter part of the Pleistocene (2.5M to 10k years ago). The morphological (fossil) evidence and the more recent DNA evidence (although preliminary), points to the same conclusion: the species Equus caballus—the species encompassing all domestic horses and their wild progenitors—arose on this continent. The evidence thus favors the view that this species is “native” to North America, given any rational understanding of the term “native”. By contrast, there are no paleontological or genetic grounds for concluding that it is native to any other continent. From a scientific standpoint, it is completely irrelevant that native horses died out in North America 10,000 years ago, or that later populations were domesticated in central Asia 6000 years ago. Such considerations have no bearing on their status as having originated on this continent. Reintroduction of horses to North America 500 years ago is, biologically, a non-event: horses were merely returned to part of their former native range, where they have since prospered because ecologically they never left. CLICK HERE for Scientific Assessment of the Wild Mustangs of America – MANAGED TO EXTINCTION, written by Ross MacPhee, Curator, Division of Vertebrate Zoology, American Museum of Natural History. CLICK HERE to join The Wild Horse Conspiracy. CLICK HERE to Review Information about Craig Downer’s Book entitled THE WILD HORSE CONSPIRACY. “Traditional Dakota/Lakota people firmly believe that the aboriginal North American horse did not become extinct after the last Ice Age, and that it was part of their precontact culture. CLICK HERE for Scientific Paper Entitled: The Aboriginal North American Horse. Posted on January 17, 2013, in Uncategorized. Bookmark the permalink. 8 Comments. Well spoken: “Wit = what oft was thought but ne’er so well spoken”. 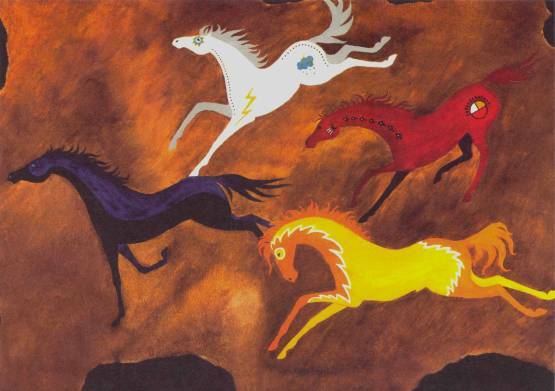 I plan to visit the Horse room in the Museum of the American Indian in 2 weeks -where the Plains Indian oral tradition of pre-European and post-Pleistocene horses is enshrined in an exhibit. Perhaps the exhibit won’t be as definitive as some of the science, including more recent remains of Equus Spe. (7500 years ago), but quite likely =more compelling than the simplistic argument that Europeans brought horses (& civilization) to North America -despite a body of knowledge and evidence to the contrary. 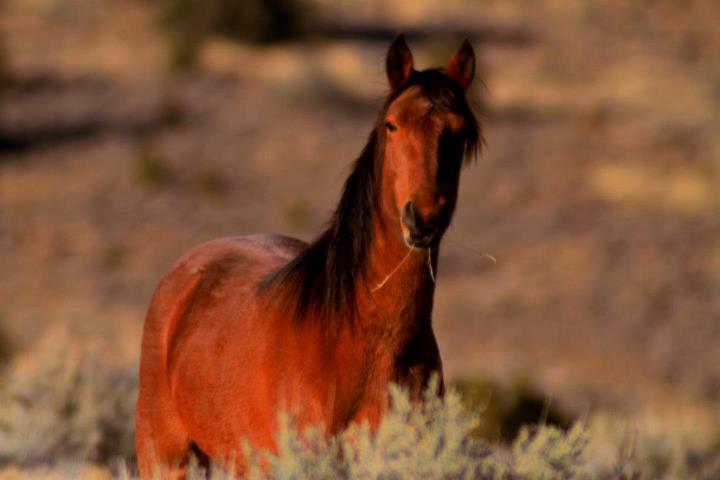 The bureau of land management is in the process of killing wild horses. The evil they are doing is heartbreaking. Using every kind of violence. Using helicopters to run the horses until they become too tired to run. They get hurt. Broken legs. Mares separated from foals. Their excuse is the land cant support them which is a lie. They have been here since the beginning of time. Help the wild horses being killed and meat sold to mexico and italy. There is a herd of wild horses in the Chilcotin plateau of British Columbia in an area called the Brittany Triangle. For many years, a group called FONV ( Friends of the Nemaiah Valley) has been workling with the Tsilhqot’in people to try to save the valley from logging and mining and save the horses. FONV recently had DNA tests done on the Nemaiah Valley horses and they were found to have Spanish Mustang, Canadian horse and Russian Yakut ancestry ( Westorld article Summer 2013). Research into the origins of the Bashkir Curly horse has not found any record of horses shipped from Russia to the Northwest. The Russian Yakut is a small, sturdy horse – a pony and is found in Siberia. I hope someone looks into this further -maybe these horses in the Chilcotin descend partly from Indian Ponies and are remnants of descendants of a band that did not make the trek to Siberia. It is highly likely that Russian colonization in the Americas(Alaska) braught horses with them. First time that I have seen something on this but somehow I always felt that their spirits never left this continent.